As two black holes circle each other, they emit gravitational waves in a highly asymmetric way, which leads to a net emission of momentum in some preferential direction. When the black holes finally do collide, conservation of momentum imparts a recoil, or kick, much like when a gun is fired. If the black holes are rapidly spinning in certain orientations, the speed of the recoil can be as high as 5,000 kilometres per second, easily exceeding the escape velocity of even the most massive galaxies, sending the black hole remnant resulting from the merger into intergalactic space. Image credits: SXS Lensing. Researchers have developed a new method for detecting and measuring one of the most powerful, and most mysterious, events in the universe — a black hole being kicked out of its host galaxy and into intergalactic space at speeds as high as 5,000 kilometres per second (11 million miles per hour). Earlier this year, the LIGO Collaboration announced the first detection of gravitational waves — ripples in the fabric of spacetime — coming from the collision of two black holes, confirming a major prediction of Einstein’s general theory of relativity and marking the beginning of a new era in astronomy. As the sensitivity of the LIGO detectors is improved, even more gravitational waves are expected to be detected — the second successful detection was announced in June. 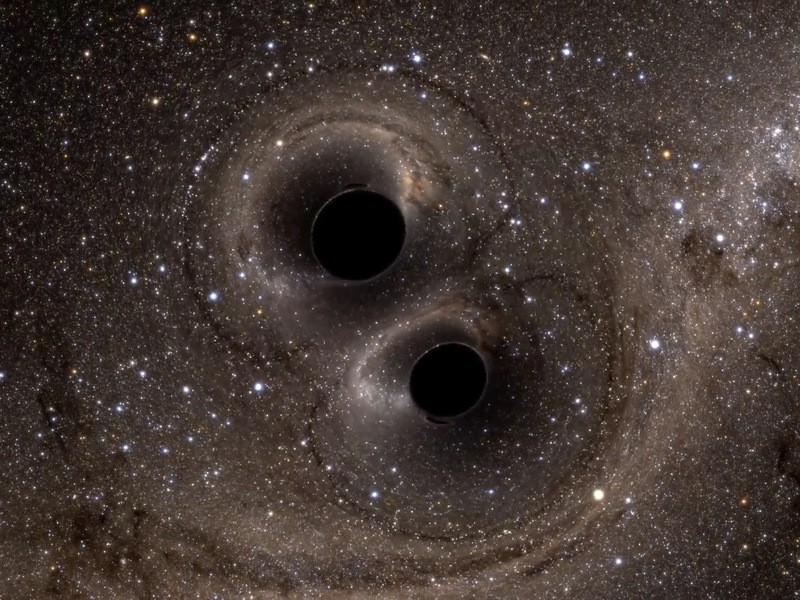 As two black holes circle each other, they emit gravitational waves in a highly asymmetric way, which leads to a net emission of momentum in some preferential direction. When the black holes finally do collide, conservation of momentum imparts a recoil, or kick, much like when a gun is fired. When the two black holes are not spinning, the speed of the recoil is around 170 kilometres per second. 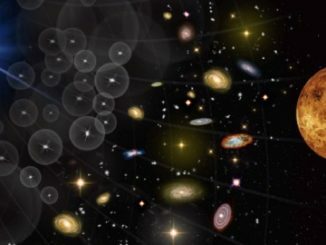 But when the black holes are rapidly spinning in certain orientations, the speed of the recoil can be as high as 5,000 kilometres per second, easily exceeding the escape velocity of even the most massive galaxies, sending the black hole remnant resulting from the merger into intergalactic space. 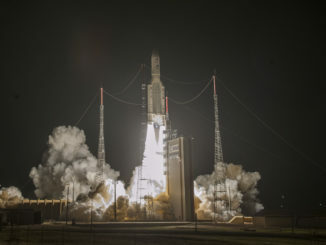 The European Space Agency is evaluating three proposals for medium-class missions focused on the entire range of scales in the cosmos, from planetary geology to solar system evolution to gamma ray bursts in the early universe. 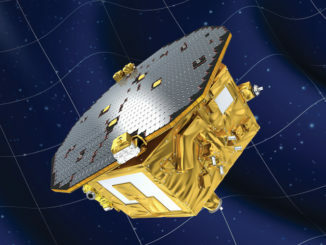 The European Space Agency’s LISA Pathfinder spacecraft, now sailing around the sun on a trajectory away from Earth, was deactivated Tuesday after a nearly 18-month mission testing previously-untried lasers, vacuum enclosures, exotic gold-platinum cubes and micro-thrusters needed for a trio of gravitational wave observatories set for launch in the 2030s.